With the Scalatore, Festka has created a very unique climbing rig. Thanks to a classic frame design, genuine craftsmanship, and outstanding features, the Scalatore is a very special representative of the ultra-light racing crowd. 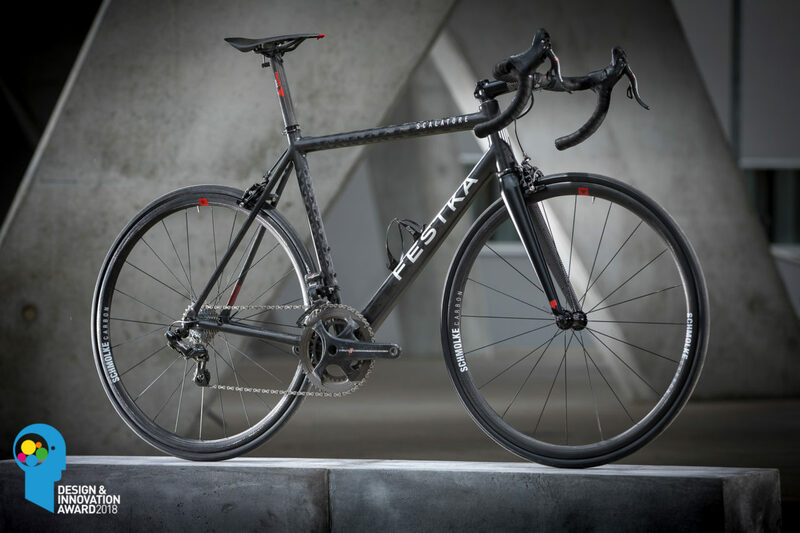 The carbon frame is handmade in Prague, and the finish is aesthetically impressive with its naked carbon-fibre look. In our test sessions, the award team was convinced by the Festka’s precise handling and high degree of stiffness, which are responsible for its impressively direct and lively acceleration. Considering the low frame weight of 790 g (tested complete bike: 5.68 kg), the Scalatore is outstandingly stiff.